LAST 10 DAYS TO SUMBIT YOUR NOMINATION FOR THE EUROPEAN ROMA SPIRIT AWARD! 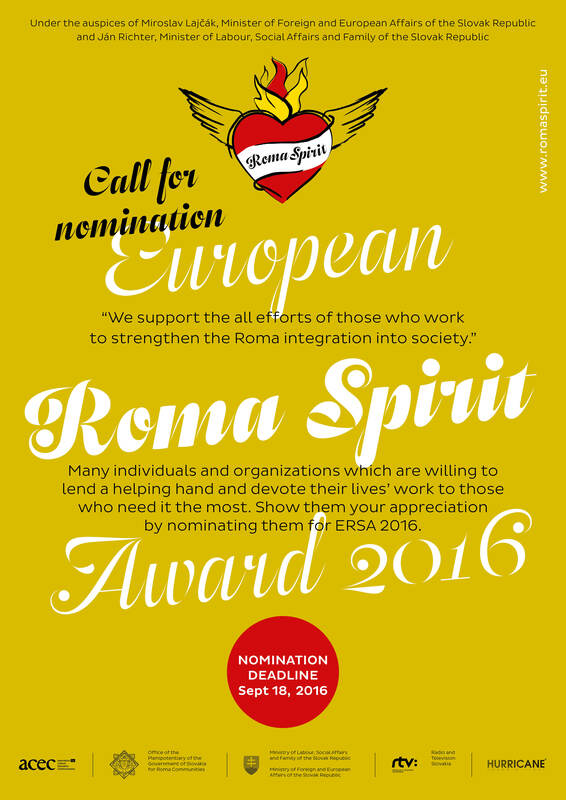 We are very happy to inform you that you have ten more days to submit your nomination for the European Roma Spirit Award (ERSA) 2016. The deadline for the nominations is September 18, 2016. ERSA project focuses on presentation of positive actions taken in favor of the Roma ethnic group. We want to appreciate the active efforts of individuals and organizations to improve living conditions and foster dignified and meaningful integration of the Roma minority. The European Roma Spirit award brings a public recognition, higher visibility, and public presentation of activities that promote social inclusion and provide efficient and working solutions to the problems of the Roma community. If you are or if you know of any Non-Governmental Organization, Company&Employer, Media, Municipality or Personality improving living conditions of Roma, show them your appreciation and do not hesitate to nominate them for the European Roma Spirit Award. European Roma Spirit Award 2016 gala ceremony is a part of the conference “Empowering Roma youth as a driver for change”- the official event of the SK PRES 2016 and will be held on October 10, 2016 in Bratislava, Slovak Republic. 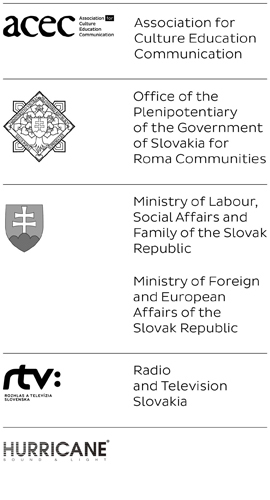 The event will be held under auspices of the Minister of Foreign and European Affairs of the Slovak Republic, Mr. Miroslav Lajčák, and the Minister of Labor, Social Affairs, and Family of the Slovak Republic, Mr. Ján Richter. We would like to ask you to contribute to the ERSA project and nominate the best practice examples on behalf of your country. Your support of the first ever European Roma Spirit Award will be a motivation for all the outstanding individuals and organizations that actively participate in improving the situation of Roma minority and dignified integration of Roma into European society. Together we can build respect, promote understanding and tolerance through public presentation of positive examples of sensitive integration and support for marginalized Roma minority, thereby preventing all forms of discrimination and expressions of intolerance. Appreciation of positive examples motivates and inspires organizations and individuals to continue their meaningful work. ERSA team will be more than happy to assist you with the nomination process or any other questions you might have, please contact us at ersa@romaspirit.eu. Should you know of any other individuals, projects or organizations that might be interested in participating in ERSA 2016, please forward the information to them.